Bestype has proudly catered to the needs of fashion companies for over 35 years and provide just about every printing service available. Among the more popular orders during Fashion Week are lookbooks, line sheets and show credentials. 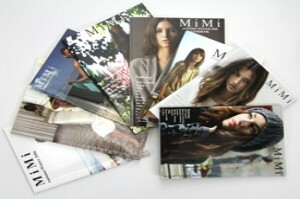 The vast range of material includes matte and gloss paper as well as translucent stock and even newsprint. Lamination and round cornering is also available to accentuate that attention to detail. Finally, bookbinding is available from the simple saddle stitch to the traditional perfect bind to fit both your desired look and budget. Long time fashion clients include Alexander Wang to Zac Posen. However, the staff thrives on working with emerging designers of all sizes. We pride ourselves on our quick turn-around, which is made possible by our in-house production. Whether you need an exceptional personal business card for a lasting first impression or a lookbook to showcase your new collection, the professionals at Bestype will work with you to bring it to life. Get a quote today and let’s moge your image into the future together!